2010. The Year of Reason. I had given up on my dream of being a professional musician by this point, and per normal, Chris was right there beside me – full of creativity with no outlet. 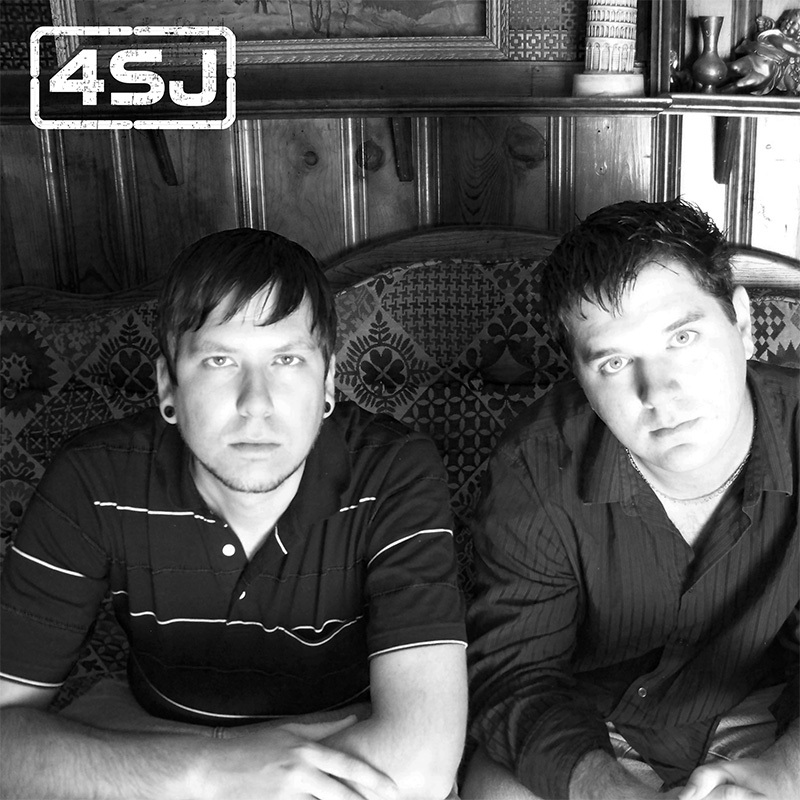 We jokingly talked one night about doing an all electronic dance project since Reason was well equipped to handle to task – and on one very “cloudy” evening – 4SJ (aka the Foursquare Junkies) was born. Chris took on the task of orchestrating most of the structure of the tracks – and we started emailing them back and forth to keep working on them at a reasonable pace. Most of them sounded so ridiculous that we would laugh when we got together to mix and tweak them – but back then we had only ONE rule in the studio – “No wrongs, just rights!” – so we pressed on. The one gem that came out of this was our cover of “Video Killed the Radio Star” by the Buggles. The album quickly turned into a concept album about two musicians throwing everything away and moving to California to chase their dream. We finished the nine song album and decided to attempt to play the music live with coordinated lights and smoke machines. Sounds ridiculous, right? It was – and it was an experience that no one who attended our shows was ready for. We were ahead of the curve when it came to performances with only two musicians on the stage live, and that confused people. After a few small club shows, 4SJ was shelved and the outboard gear (leftover from Alias X) was sold off. Though the songs range from serious to silly – it will always be one of the projects that I had the most fun working on and playing live because all the pressure was off.